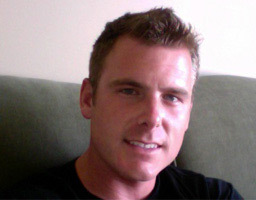 Dan Martell, co-founder of Flowtown, was an award-winning entrepreneur at age 25. He started Spheric, Inc, which grew an average of 152% per year until he sold it in 2008. Active in tech and biz in Silicon Valley and Canada, he’s an informal angel investor who advises (and helps launch) startups and small businesses using metrics driven marketing tactics. Relentlessly driven to achieve with joy and purpose, he also runs, snowboards and skydives. Welcome to the Conversion Heroes interview series Dan, and thanks for taking part. We’ll kick things off with a common perception amongst marketers – that social media marketing is free marketing. 1. Is social media marketing really free? Oli: People also say that social media marketing (SMM) doesn’t convert very well, but that this is okay because of the free marketing factor. What do you think? Is SMM really free? Dan: I like to say that social media is free like a puppy. If somebody gave me a puppy, yeah, it would be free, but it would also require a lot of my time. A lot of people say that about social and open source and unless you consider your time worthless, it does have a cost. Oli: How do you deal with the cost factor? Is it just something you squeeze in as part of your daily routine or do you set aside time and a budget for it? Dan: The first thing you need to do is figure out what your goal is. I’ve always said, if you’re better at doing video than at writing a blog then you should stick to one format until you get traction on that, then decide if you want to branch out to the others. Start with strategy first – what your goal is with regard to the content and the type of engagements that you want to have. If you want to tweet, if you want to blog, if you want to do YouTube videos or maintain a Facebook fan page, you’ve got to decide which to use, and I would say less is more. Once you’ve figured that out, try to understand the problem that your company is solving for your customer, find or create content that’s relevant to them and test that format and see if it resonates with people. At the end of the day it’s not necessarily about generating revenue directly correlated to your social media activities but it is about creating relevant engagement with your ideal customer type. So the last thing you want is to be a small coffee shop and talking about interior decorating as you’ll attract the wrong type of follower. Oli: So you’re saying don’t spread yourself too thinly? Don’t try and jump into every social media channel? Dan: Exactly. Do the one that you know you’re actually going to do. It’s just like being active. Some people like to go to the gym. Some people like to run. Other people like to bike. Figure out which activity you’re going to do and you’re going to be able to keep doing. Having an inactive social media account is worse than not having one. It’s negative social proof to have a twitter account that hasn’t been updated in a year, or that isn’t being followed – it reflects badly on the business. Oli: What kind of effect does a dormant social media account have? Dan: I do believe you should claim it and then maybe just have a post that says “right now we’re really busy servicing our customers but at some point we’d like to start engaging using this medium. Check back.” right? To have ten updates and then no updates for six months is bad ‘cause it makes you look like you’re a starter and not a finisher – a bad perception to have in business. It’s negative social proof to have a twitter account that hasn’t been updated in a year, or that isn’t being followed – it reflects badly on the business. Oli: How valuable is content in establishing the conversations you have in the social media? Dan: Everyone knows in business that cash is king. In the social world, content is king and you don’t necessarily have to be the creator, being a curator is also valuable. Being the thought leader, establishing yourself as a resource or a reference for the problem that your company solves is the reason you make social media work, with regard to generating a real return on investment on your time. There’s actually a term I’ve heard a while ago called ROA (Return On Attention) and I think that’s a great way of figuring out how to add value. Essentially, you want to provide a high ROA for your followers and fans. Oli: Measurability is a big deal in online marketing, and the concept of a “campaign” can help when it comes to success or failure metrics. What goes into planning a social media campaign? Do you treat social media as its own campaign channel or is it just one of the many pieces that you’re throwing out there? Dan: Well I think there are two types of social media activities. There’s event or campaign based which would be for something like a contest or press release etc. and then there’s the stuff that you do on an ongoing basis like a blog, your Twitter stream, your Facebook fan page and those are essentially channels that you’re building. The beauty of social is that it disintermediates the owner of the marketing channel to your customer. So today in traditional marketing, the newspaper owns the channel right? With something like email, whoever owns that subscriber list (obviously permission based) owns that channel. But with social media you can essentially start creating your own channel. This is something that you want to do over time. So on the campaign side I would say that social helps amplify a good message. We use traditional press as well as real world events and then utilize our social channels to amplify that. Oli: What do you set as your conversion goals for a campaign like that? Dan: For me it’s not about direct conversions. Social media is still one of the least performing in regards to direct conversions tied to some kind of financial ROI. We know today how our blog converts to sign ups. We know how many people come from twitter that sign up for a product. Even if you’re exclusively doing social media marketing – which is based on your time, put a dollar value to your time and say, okay it’s going to take me two weeks to run this photo contest and I think that we should be able to get x submissions and each submission should get a hundred views and out of those hundred views 5% should convert. The beauty of social is that it disintermediates the owner of the marketing channel to your customer. If you know that your website converts at 30% to sign up and I think I should be able to convert 5% of social traffic to paid or whatever it is, then just from sitting down and doing the math it would let you decide if two weeks is way too expensive to do this campaign based on the numbers. I’m a big metrics guy and I like to run through some numbers every time – typically using a piece of paper and pen. Oli: What tools do you use to measure social conversions? Dan: Initially we used Google. If I had to do it again today I would highly recommend that small business owners use a tool called Swix. I like the fact that they’re simple and let you track all your social accounts with analytics in regard to views and followers. If you’re a company like ours that have a freemium model or even a hosted SaaS application I would highly recommend KISSmetrics because they allow you to track real people (at the individual level) and users through your funnel and figure out where they’re dropping off and not converting, on a per channel basis. You just add a little query string to tell it a visitor came from Twitter or your other social profiles and then you can track them from click-through to your site, into your product funnel, and then figure out which channels are converting the best to paid customers. Oli: That is really cool, the personal aspect is essential and something that’s been missing from analytics for a long time. Dan: Yeah, as Eric Ries says “metrics are people too”, and understanding people as individuals and not like some number on a graph is very important. Oli: There’s not much point in metrics if you don’t react to them. How do you learn from what you’ve done in the past to become more effective via your social media messaging? Dan: We use a tool called awe.sm, for URL shortening when sharing our content on our Twitter stream and even sometimes within email content. Awe.sm lets you track the sharing activities through different social networks. So somebody shared content from my blog to their Facebook feed, versus from my blog through Twitter, versus the same piece of content I shared on Facebook but then somebody took that and shared it on Twitter. It’s really complex but it shows you which content is resonating with your audience and which gets the furthest reach. And then once I understand what’s working, I try to figure out how can I create other content that is similar. … it changed the game for SEO as now you need to understand how Google is classifying content within the real time feeds. Oli: How has your social media strategy changed compared to when you were starting out? Dan: There are so more many disciplines to learn now. I wasn’t an SEO guy before, but once Google started licensing the Twitter feed including social organic – or social results in the organic results – it changed the game for SEO as now you need to understand how Google is classifying content within the real time feeds. So I would say that initially we were doing a few things well, a few things really well, and a few things kind of amateur, now we’re are a lot more refined. Our Facebook fan page is my primary focus right now and our engagement and usage has grown by 287% month over month because I started focusing on it and trying to understand and learn from the best. Then I used that to drive my strategy. Oli: Right. So emulating what’s working rather than reinventing the wheel. Oli: What do you find creates the most engagement? Is it asking questions or is it based on the style in which you communicate? Dan: The thing that we’ve noticed is that if all you do is ask questions, you can fatigue your fans. We made this mistake where we said “Hey, what do you think?”, then we’d share some content. Or “Do you like this?” At the end of the day people just didn’t like it. So I will give a tip to your readers. Something we discovered was those conversation starters – the little cards that you can buy for your house and put on your coffee table – and when you have people over you can pull one out and you ask them a question based on the conversation starters. Think about that. They are amazing questions to be asking on your fan page. Relevant to your industry. So for us it’s social engagement, people and relationships. We did a couple of those tests and got the best conversions and engagement that we’ve ever had. So now we sprinkle that into our Facebook strategy. Oli: That’s a great tip. Dan: What are the things that people comment on? Obviously you have to have a strong opinion right? You have to be remarkable. Remarkable meaning that people will remark on what you’re doing. Seth Godin calls it the purple cow. You have different types of audience within your customer base. Some people might like your content to be more visual. Make sure you have a compelling image in some of your posts. Some people read status updates. Make sure your status updates are good. My favorite social media tool is to use a question with a fill in the blank. People will answer that question. It’s what people do in the real world and the pattern applies to social channels. Go check out a photo on our Facebook fan page and you’ll see that is what we’re doing, and if you feel like that will work for your audience, borrow from us. We don’t mind. Oli: Let’s switch on to the idea of landing pages and social media. Landing pages are a proven way to improve the conversion rate of your inbound traffic. How can you leverage social media on a landing page to increase engagement from your social media traffic? Dan: Yeah, the big idea you need to understand is a thing called social proof. I first learned about it from real estate marketers that used to hire actors to be in a room when they were explaining and selling condo units. When they opened up the doors to presell these condo units, four or five actors would jump out of their seats and run to the four or five tables that were available, essentially demonstrating to the other participants in the room that wow there is an interest and if I don’t hurry up I may not be in on this opportunity. So that’s the concept of social proof. I don’t agree with that particular tactic, but it worked. If I go to a landing page or website and it shows me their Twitter account with 14,000 followers, that is one indication that this person is high quality, they’re saying things that people care about. Or if I go to a landing page and it has a Facebook comment widget and I see people that I know commenting and giving praise to this company, that is huge. That’s social proof. The same thing applies on your blog. One thing that we focus on as a metric is how many comments do we get per post? Because at the end of the day there is only one or two percent of people online that will actually create content or comment on things. So those people are unique and you want to make sure that you’re writing content that engages them. Every time somebody says something nice on their Twitter account, just star the mention and it automatically updates on their website. It keeps it fresh and interesting and new. Oli: So it’s essentially a more modern version of the testimonial. Dan: Absolutely. And a tactic I’ve seen startup companies use, is as people say nice things about them on Twitter, which is by default public and available for anybody to re-purpose, they star it and then they use a feed to show the starred comments on their homepage, cycling through. So every time somebody says something nice on their Twitter account, just star the mention and it automatically updates on their website (using some simple scripts). It keeps it fresh and interesting and new. Oli: Yeah, that’s a great technique. What’s your take on etiquette here? With regards to asking permission to show the comments? Dan: I personally think asking is the right thing to do. You can just DM the person and say “Hey do you mind if I use that and put it in our homepage?” Most people will be honored. Some people might say no. At the end of the day though it’s up to you. If their account is public I think it’s fair game to show what they created if it’s an RSS feed. That’s the key as there are certain kinds of etiquette around syndication that make it acceptable. Oli: Yeah I guess it’s a little different when you have a flow of information like that rather than just taking someones words and hard coding them into your page. Dan: Exactly. And as long as you don’t mislabel it. As long as you use a label like “things people are saying about us on twitter” that is cool. If you show what your users are saying without the reference to their tweet it’s misleading. You need to frame the context of their message. Oli: Let’s end on how to leverage social profiles in your marketing. Can you talk a little bit about Flowtown and what it offer marketers in social media? Dan: So Flowtown solves the problems every small business faces when they choose to use social media as a marketing channel. These are where are my customers? once I join a network what do I say and who do I talk to? and then what impact is any of this having? Today if you import your customers into Flowtown we’ll show you a breakdown of what social networks they’re on. Next you can see who’s influential within your existing customer base and plan 1-on-1 outreach with the people who have the potential to be your biggest advocates, next you can send targeted email to subsets of your customer base i.e. people just on Facebook and ask them to come and join you on Facebook, we had a customer recently do this and not only did they get more fans, their call to action for a sale converted at 2x their lists historical average. Finally you can integrate Flowtown into your existing application you already use like: iContact, MailChimp, Campaign Monitor, BatchBook, Wufoo, SalesForce, Unbounce and Formstack. The thing that makes us unique is Flowtown is powered by your existing customer base. You import all your contacts and we use your existing customers to get you more customers. Oli: Is there a way to gauge who the most important people are? The influencers? Dan: Absolutely yeah. We’ll show you who are the most influential in each of the networks and who is influential in your industry. Who are the highest influencers for marketing or for coffee, or architecture etc. Oli: So what are some of the ways that you can utilize that layer of data to benefit your other marketing channels. Dan: One way people have been using it on segmenting your email marketing efforts. We provide an email marketing tool that allows you to take your emails, segment them and invite people on Twitter, that have a certain influence score, living in San Francisco, to an event I’m hosting. A lot of non-profits are using these kinds of geographic filters and increasing their open and click through rates by 250%. We also show businesses the percentage of customers that are not following them on Twitter, but have a Twitter account and you can send an email just to those people not following you to say “Hey I noticed you’re on twitter so are we, we’d love to connect. Here’s our link.” Some customers get 35 – 40% response in regards to new followers. We’ll show you the before and after, so it’s a great tool for small businesses that are just getting into social media or want to increase their current social media channel with existing customers. A lot of non-profits are using these kinds of geographic filters and increasing their open and click through rates by 250%. Oli: Again it comes back to that personal touch that people respond to. Dan: Exactly. One of the other ways people are using it that I find really innovative, is real-time social notifications. Essentially using social data for lead scoring. If you have a contact form on your landing page, when somebody provides an email, send that email over to Flowtown and based on your filters we’ll notify you with all the information we have about them in real-time so that you can engage with them. If you noticed that a writer for the New York Times in your industry just signed up or subscribed to your newsletter, your company you can follow up immediately with more knowledge to make a personal connection. We’re trying to give you the tools to be responsive in the social sphere to get you the highest results. We use it exclusively at Flowtown for all of our press. When somebody signed up we noticed they were a founder of a company, myself or Ethan will contact them directly. Typically through Twitter, sometimes via email cause we obviously have their email address, but we always contact in real-time which shows a level of attention to our users that they are not expecting. This gets back to that whole wow! purple cow, remarkable activities a company could do to increase people caring about them. Big thanks to Dan Martell for being a Conversion Hero, and providing us with some great insights into social media conversion and customer engagement via social media marketing.